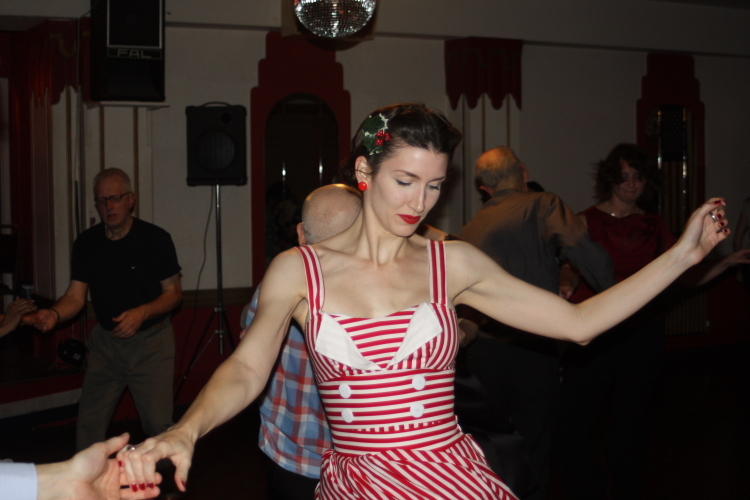 Back in 2008, I loved swing dancing. 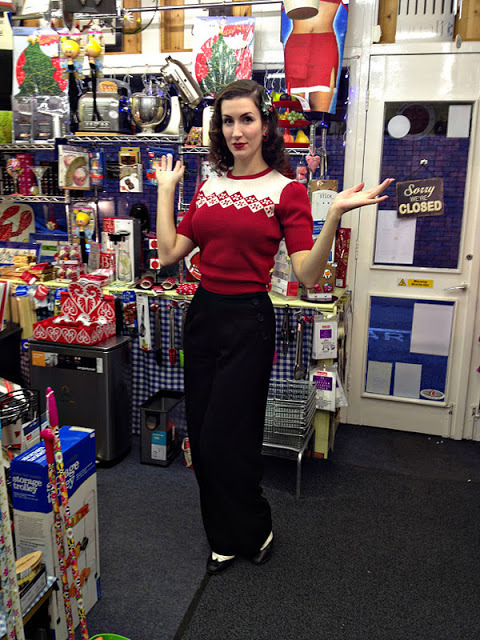 I wore this two-piece candy-cane striped set to a Christmas swing dance, complete with holly in my hair! Can’t remember the brand, but I do know it is long gone. 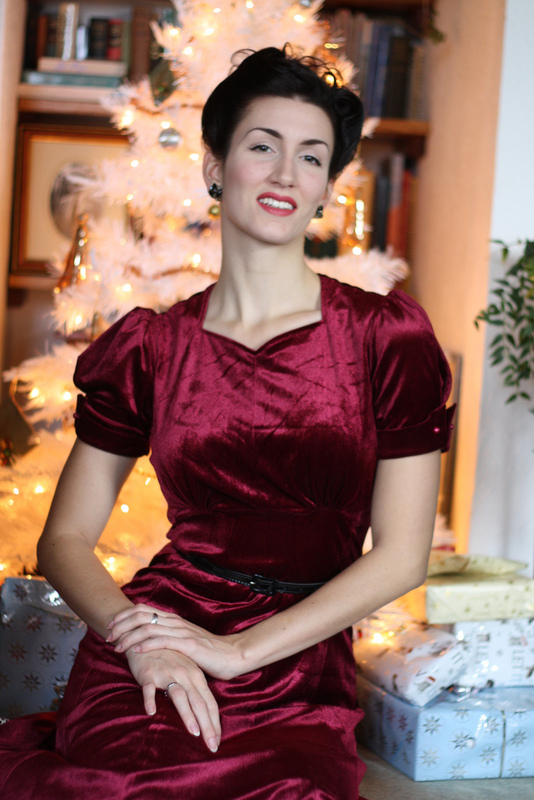 The following year, I wore a repro velvet dress from Able Grable, another defunct repro brand. 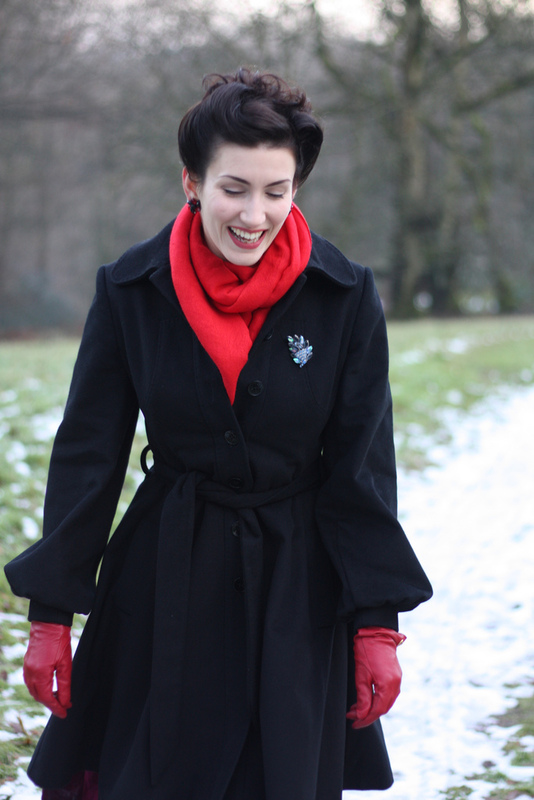 This vintage inspired coat came from the high street… Oasis I think. A staple of winter for years & years! 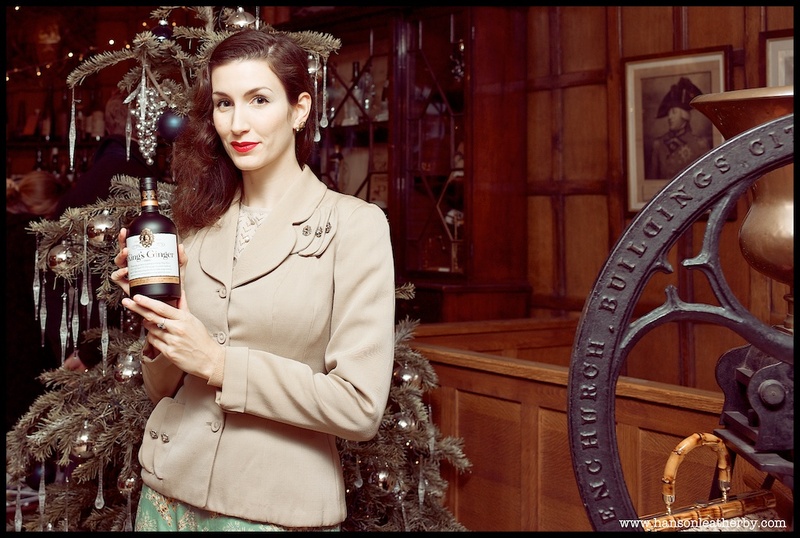 Vintage 40s suit jacket, an ASOS jumpsuit & King’s Ginger for the first year! A Rocket Originals jumper, which was not, in fact a Christmas jumper… but it did a damn good impression in 2011! 2012 with some King’s Ginger again, back in the velvet and a fur coat. Plus Miss L Fire shoes. I also did a shoot with Jeni Yesterday at the Imperial War Museum… I think it was the same year, but who knows? With me bro… who’s now a DAD!? 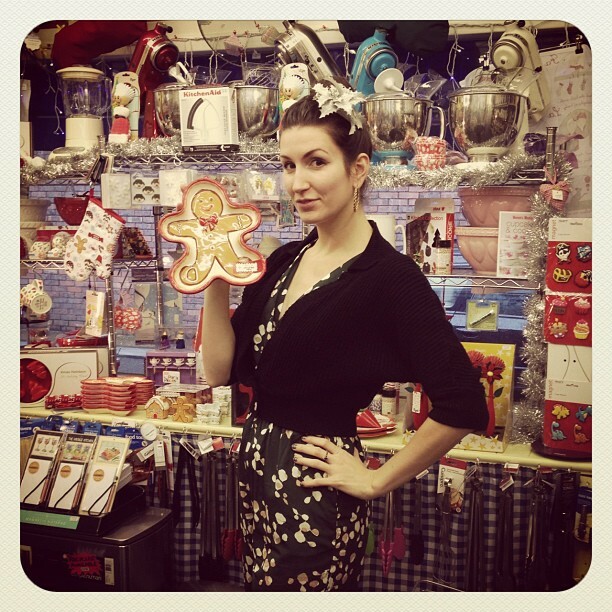 2013 was the first year of the Heyday Christmas Fleur! 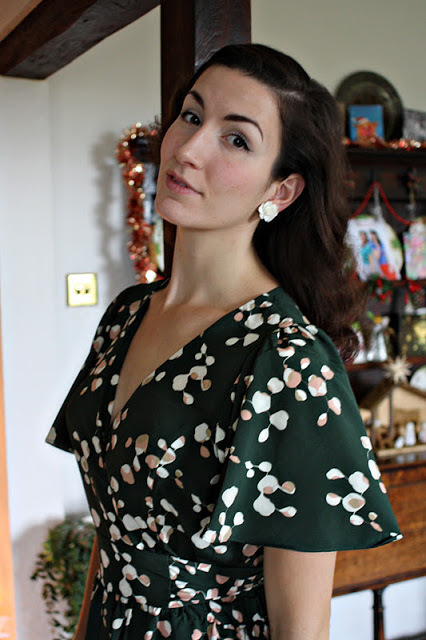 Obviously wore this 40s style wrap dress on Xmas day. 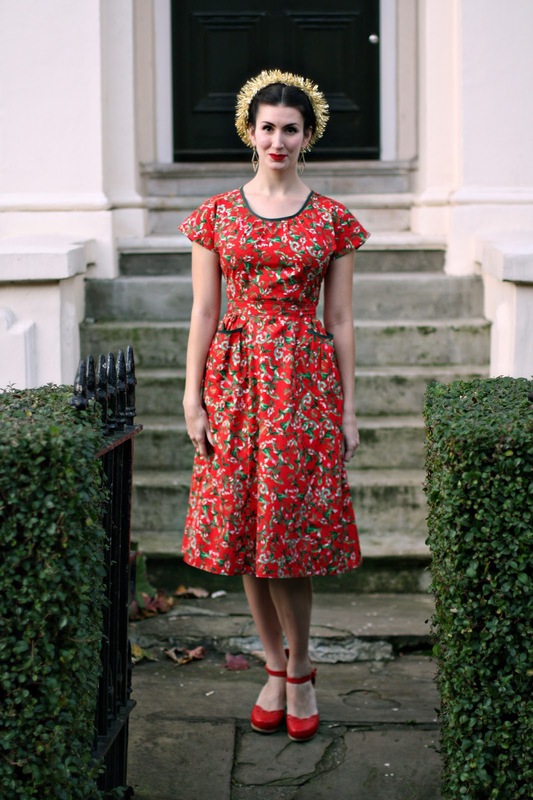 And last year – the Holly Berry Fleur dress – there are still some of these available! Though you’ve missed last post now… still. 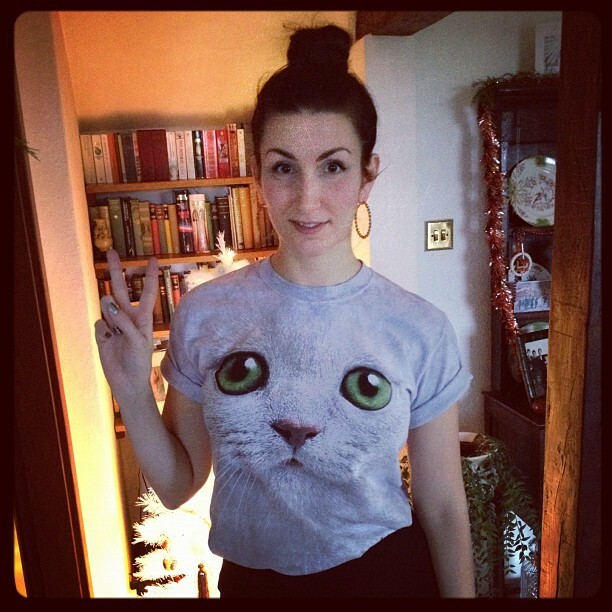 Not sure what I’m wearing for Christmas this year – I haven’t bought anything new that’s fancy enough for ages. Not that there’s anything better than the two Heyday Fleurs above… What are you wearing?